It happens every day. A compassionate energy healer is excited to help a precious pet and her family, and instead, they violate the animal’s personal space and disrespect their spiritual nature. What’s the difference between doing and being Reiki? When we DO Reiki, we are coming from our ego/mind. Our mind tells us that the animal needs something that we have to give. It tells us that we know what is best for the animal. It tells us that we must take control over the situation and fix things. In their zest to help, some practitioners confine the animal so they can’t get away and as a result, the animal is not free to move in and out of the energy as they see fit. Others immediately begin to place their hands on the animal or they “beam” the energy towards them. In all of these situations, the practitioner is unintentionally taking away the animal’s ability to choose. What should be a loving and compassionate offering, becomes an act of forcing the Reiki energy upon the animal. Healing does not occur when we try to force or control the situation, it happens when we respect an animal’s boundaries and open our hearts to a peaceful and respectful space. Another way to think of “Being Reiki” is remembering what we are – a beautiful, loving light of divine consciousness. When we access this place inside us through meditation, we become peaceful, loving and balanced. When we are in this place of mindfulness, the body becomes balanced and healing occurs naturally. Not only for us, but for everyone around us. Being Reiki means creating a partnership with the animal. It means letting them lead the session. There is a drastic difference when we sit in the presence of an animal and let them choose rather than trying to force Reiki on them. Before you begin, ask permission from the animal. You can do this out loud or silently to yourself. Let them know how long you will be there and that you will be meditating to create a peaceful, healing space. Tell them they are free to enter this space and accept as much or as little healing as they like. I begin every session this way, no matter if it’s the first time I’ve met the pet or the hundredth. It doesn’t matter if I’m in the pet’s home or I’m at a rescue or sanctuary either. When I sit in front of a kennel to offer Reiki to a dog or cat at the local animal shelter, the first thing I do is ask permission. Animals in a shelter situation are stressed and often scared. I honor their spiritual nature by asking permission and letting them know what is about to happen. Being Reiki means respecting boundaries. Always wait to place your hands on an animal until they ask. Sit at a distance and let the animal come to you. They will let you know if they want hands on healing. They will rub up against you or position their body where they want to be touched. 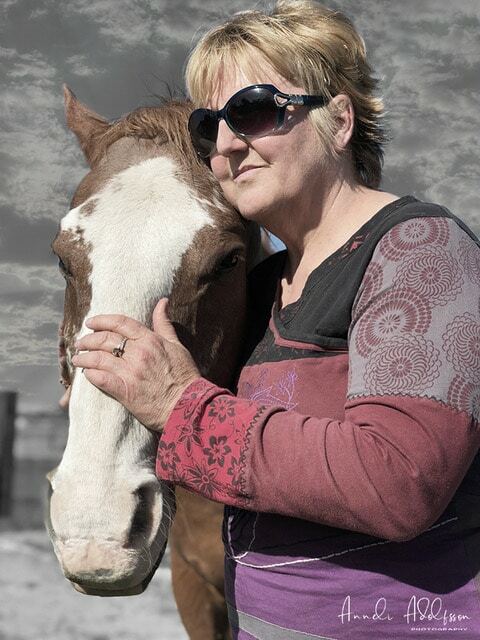 I was sharing Reiki with a horse at an animal sanctuary one day. I knew nothing about her past but she quickly came up and placed her head in my hands. We stayed that way for about ten minutes. Then she moved away from me and went to the far side of the corral. She faced away from me but I continued to stand in the healing space. Suddenly, she began to back up. She walked backwards until her hips met my hands. She was showing me where she wanted touch. I learned later that she had been a rodeo horse and that she had severe arthritis in her back hips. Don’t try to think about what needs to happen for healing to occur. Healing does not always mean a cure, but it does mean finding peace and comfort in the situation. It’s hard not to look at an animal that’s been abused and not feel sorry for them, but that only sends the signal that something is wrong. Instead, look with your heart and see the true light that resides in both of you. Let the animal know that you see them – really see them – and that they are beautiful. At the end of your time together, remember to be grateful. Thank the animal for your time together. Being Reiki in the presence of animals is an act of love and respect. When we honor their true nature, they are more willing to open their hearts and share with us. Animals teach us how to love and how to be present in the moment. They remind us that we are all connected and that our daily actions towards each other are prayers of compassion – and compassion is the ultimate healer. Have you ever shared a Reiki session with your pet? Share your experience in the comments. Jamie Lee is an Animal Relationship Specialist and Shelter Animal Reiki Association Teacher. 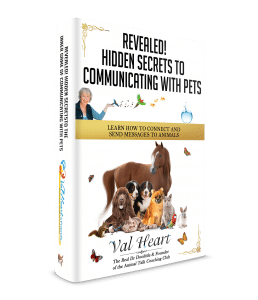 Her mission is to bring awareness of the spiritual wisdom of animals and to teach people how to bring balance and vitality into the relationship they share with their pet. Jamie is a published author and professional speaker. 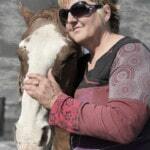 Find out more about Animal Reiki and how you can bring it into your life by contacting Jamie at www.Animal-Bonds.com or visit her FB page Jamie Lee – Animal Bonds. 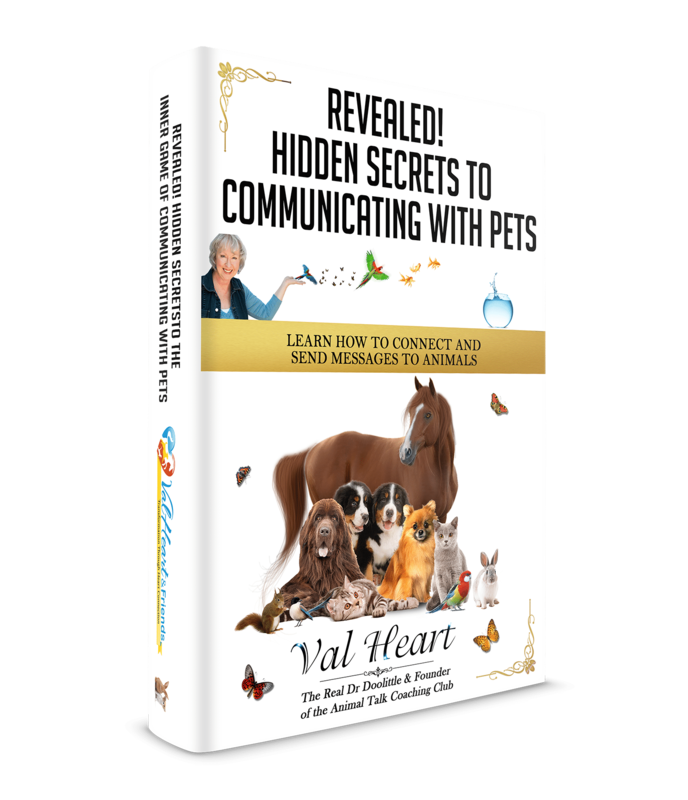 this awesome FREE eBook to you and your pets! Click here so that when I find other super cool things to help with health, wellness and spirituality, I can share them with you too!